A massive pit that was spotted in a remote high alpine valley in British Columbia’s Wells Gray Provincial Park earlier this year is the entrance to a previously unexplored cave of “national significance,” say two members of a Canadian team that helped conduct a preliminary exploration of the site in September. The cave “has a number of features that when combined indicate a cave of national significance” and constitutes “a major new find in Western Canada, and promises a dramatic new chapter in the story of Canadian cave exploration,” say John Pollack and Chas Yonge in a document they co-wrote that summarizes the significance of the find. Pollack said that the pit was spotted in April during a routine aerial caribou survey conducted by British Columbia's Ministry of Forests, Lands, Natural Resource Operations and Rural Development, and that Bevan Ernst, a regional caribou biologist with the ministry, called it “Sarlaac Pit” (a reference to a subterranean creature that made a brief appearance in the film Return of the Jedi). Pollack added that the name Ernst gave the pit is unofficial and temporary. BC Parks is consulting with local First Nations to determine whether a traditional Indigenous name for the cave exists. The exact depth and size of the cave has not been determined, but Pollack said he believes that the water flowing into it forms an underground river that emerges 2.1 kilometres away and 500 metres lower, which gives some early indication of the cave’s length. 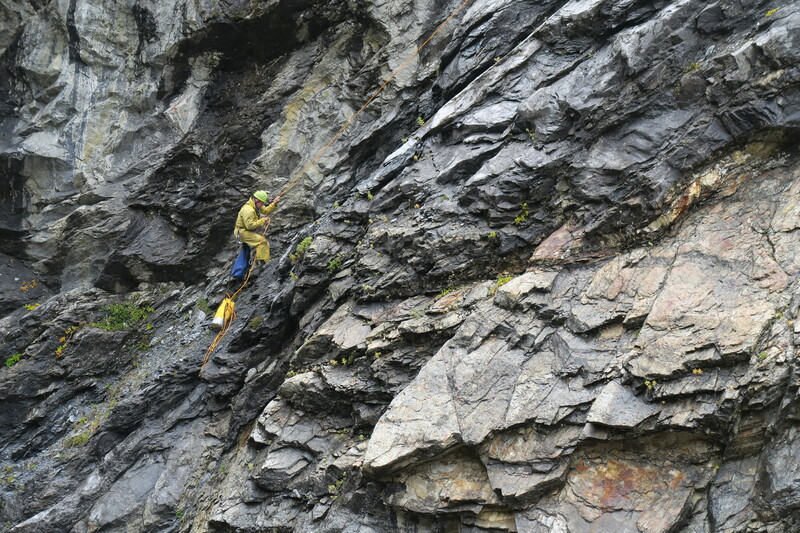 “While the deepest cave in Canada now exceeds 670 metres,” Pollack and Yonge note in their summary, “these measurements suggest we will be facing a very deep and challenging river cave. It will be highly technical.” Pollack said that future exploration of the cave is being considered in consultation with BC Parks, and that a team is likely to be fielded in 2020. 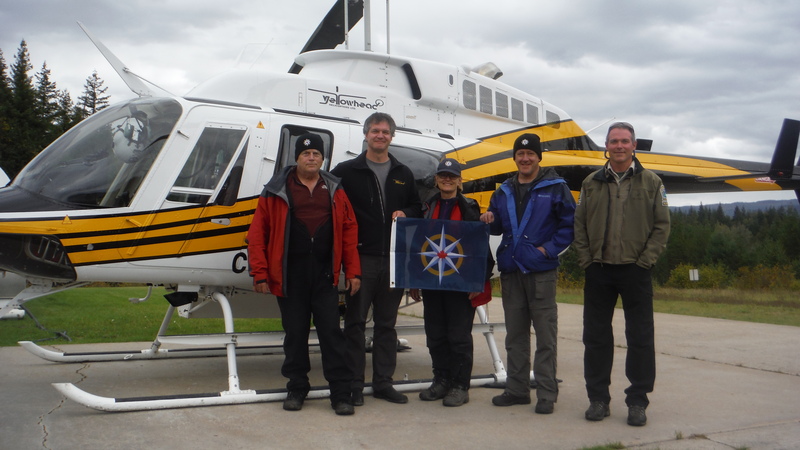 On Sept. 9, Pollack spent the day at the site with geologist Catherine Hickson, caver Lee Hollis, BC Parks area supervisor Tod Haughton and Ken Lancour, the helicopter pilot who Ernst was with when the entrance to the cave was spotted in April. Yonge, who is a geochemist and a renowned speleologist, did not make the journey in September but supported the team remotely by examining photos and videos of the cave. The reconnaissance project was organized by Hickson and jointly funded by her company Tuya Terra Geo Corp., Pollack and BC Parks.